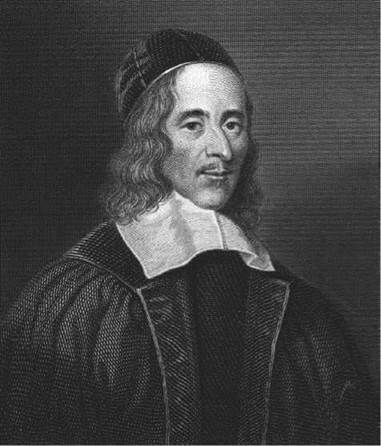 George Herbert was a seventeenth-century English poet best known for writing intensely devotional verse using simple, direct speech. Although considered a metaphysical poet, alongside John Donne and Andrew Marvell, Herbert avoided secular love lyrics in favor of sincere, holy worship. His best-known work, The Temple: Sacred Poems and Private Ejaculations (1633), is admired as a profound exploration of humanity’s relationship with God. Educated in England. The fifth of ten children, George Herbert was born on April 3, 1593, into a family of political prominence in Montgomery, Wales. After the death of his father in 1596, Herbert’s mother moved the family to Oxford so that she could supervise the education of her oldest son, Edward, who later became known for his philosophical writings. At the time, England was ruled by Queen Elizabeth I, who was overseeing both the beginnings of the British colonial empire as well as a golden age of drama, literature, and music. While at Oxford, Herbert’s mother befriended John Donne, a writer whose metaphysical poetry would considerably influence Herbert’s career as a poet. In 1604, Herbert began attending the Westminster School in London. An excellent student in Greek and Latin, Herbert received one of three Westminster nominations to Trinity College at Cambridge University in 1609. By this time, England was ruled by Elizabeth’s successor, James I of England, who had taken the throne in 1603 and established the Stuart line. Decided on Career as a Poet. In 1610, Herbert wrote a letter to his mother in which he declared he would be a poet dedicated to celebrating God’s glory. Included in this letter were two poems, ‘‘My God, Where Is That Ancient Heat toward Thee’’ and ‘‘Sure, Lord, There Is Enough in Thee to Dry.’’ Throughout his years at Cambridge, Herbert wrote verse in both Latin and English, much of it remaining unpublished during his lifetime. In 1616, after earning bachelor’s and master’s degrees, Herbert was elected a fellow of Trinity College, a post that required him to take holy orders within seven years. At Cambridge, Herbert held several positions, including lecturer in rhetoric and deputy orator. Elected university orator in 1620, he assumed responsibility for speaking on occasions of state and composing official correspondence. Four years later, Herbert requested through the archbishop of Canterbury that the probationary period for his ordainment as a deacon be waived. At this time, Herbert was also involved in politics. He was a courtier at the court of James I from 1620 to 1625 and a member of parliament for Montgomery, Wales, from 1624 to 1625. In 1625, James I was succeeded by his son Charles I, who soon faced opposition, as he often attempted to act without the consent of Parliament. While the date of Herbert’s ordination is uncertain, it is known that he became a canon of Lincoln Cathedral in 1626. Published First Poetry. A year later, Herbert published his first work, Memoriae matris sacrum (1627), a collection of poetry written in Latin on the death of his mother. It included a funeral oration by John Donne. Herbert was appointed rector of Bremerton and ordained a priest in the Church of England in 1630. During the following two years, he revised many of his earlier poems and wrote A Priest to the Temple; or, The Country Parson His Character, and Rule of Holy Life (1632), a prose discourse on Anglican pastoral practice. Herbert then began working on his most famous work, The Temple: Sacred Poems and Private Ejaculations (1633). Falling ill with tuburculosis—a contagious bacterial disease of the lungs that had no cure and was easily spread—Herbert completed the manuscript of The Temple and sent it to a friend, Nicholas Ferrar, to ensure its publication. Herbert died of the disease on March 1, 1633, before the volume was put in print. Galileo Galilei (1564-1642): Galileo built the first high- powered astronomical telescope and confirmed the Copernican theory of the solar system. Peter Paul Rubens (1577-1640): Considered by many to be Europe's most influential artist of the seventeenth century, Rubens created vibrant paintings that united the classical with the romantic. His pieces include The Raising of the Cross (1610). Gian Lorenzo Bernini (1598-1680): In addition to inventing the baroque style of sculpture, Bernini was also a brilliant architect. His sculptures include The Ecstasy of Saint Teresa (1647-1652). Francis Bacon (1561-1626): A leading figure in the fields of natural philosophy (now known as physical science) and scientific methodology, Bacon also explored questions of ethics, law, and religion. His books include New Atlantis (1627). Robert Herrick (1591-1674): Herrick's His Noble Numbers (1648) contains more than twelve hundred short religious poems in an assortment of forms, including epigrams, epistles, and verses of love. Louis XIII (1601-1643): King of France from 1610 to 1643, Louis XIII was a strict Catholic as well as a soldier intent on protecting his subjects. Herbert meticulously experimented with form and meter, rarely repeating rhyme schemes and often creating patterns with an intent to break or alter them. Herbert’s structural artistry may have been influenced by the Greek Anthology, a collection of poems used by Renaissance poets as a reference for poetic practice. Additionally, the Bible provided a model of stylistic diversity for Herbert, especially the book of Psalms, which has long been described as an encyclopedia of poetic genres and voices. Verse translations of the psalms, particularly those by Sir Philip Sidney, may have inspired Herbert’s formal experimentation—perhaps Herbert believed that a variety of religious experiences could be captured only in a variety of poetic forms. Metaphysical Poetry. Herbert belonged to the group of seventeenth-century writers known as the metaphysical poets. In deliberate contrast to the English poetic tradition of using common metaphors, the work of the metaphysical poets is characterized either by new and unusual metaphors or by traditional metaphors used in new ways. Metaphysical poetry combines ordinary speech with puns, paradoxes, and conceits, metaphors that shock the reader by comparing two highly dissimilar things. Often, these poems are presented in the form of an argument, have complicated subjects, and attempt to show a psychological realism when describing the tensions of love, whether the love is physical or spiritual. Evident in Herbert’s poetry is his debt to John Donne, pioneer of the metaphysical movement. However, Herbert made the form his own with a simplicity of diction and metaphor. Presenting ideas with logical persuasion, Herbert finds metaphors in everyday experience, using commonplace imagery as opposed to the sophisticated language of other metaphysical writers. This results in work that appears less intellectual than that of Donne, who expresses his uncertainty in rational terms and then resolves it in the same way. In contrast, Herbert will end a poem with two lines that resolve the argument without addressing each specific point raised in the poem. Because Herbert’s arguments encompass recognizable human emotions, his work is easy to comprehend, while understanding Donne often requires concentrated effort. In comparison with other metaphysical poets, Herbert puts less emphasis on conceits and striking imagery, relying instead on the Bible for stylistic inspiration. Herbert favors ordinary images, as illustrated by the thorn, wine, and fruit he uses to great effect in ‘‘The Collar.’’ By exploring his own faith through the techniques of metaphysical poetry, Herbert expanded the genre to allow the poet a more personal approach. Legacy. Although Herbert was a writer of humility and integrity—not one in search of celebrity—he has nonetheless been a popular, influential writer through the years. Many seventeenth-century poets—metaphysical poets Richard Crawshaw and Henry Vaughan, for example— openly acknowledged their debt to Herbert’s techniques and subjects. The impressive reach of Herbert’s influence includes such later writers as Samuel Taylor Coleridge, Ralph Waldo Emerson, Emily Dickinson, Gerard Manley Hopkins, T. S. Eliot, W. H. Auden, and Elizabeth Bishop. Calligrams (1918), poems by Guillaume Apollinaire. With the publication of this work, which is composed of complex shape poems, Apollinaire coined the word cal- ligram to describe literature in which words are assembled to form an object. Come to My Party, and Other Shape Poems (2004), a children's poetry collection by Heidi Roemer. Springtime rain, ocean waves on a summer day, Halloween pumpkins, snow-covered hills—the poems in this book celebrate the shapes one can find in each season. Types of Shapes (1991), a poetry collection by John Hollander. Some playful, others artistic, these poems show that form can enhance meaning in poetry. Herbert was a well-respected figure in his lifetime, praised by Francis Bacon and John Donne, for example. During the 1600s, The Temple was valued for the simple piety of its religious sentiments, and many of its poems were adapted as hymns. Between 1633 and 1679, thirteen editions of the collection were published. Although Methodist leader John Wesley did adapt some of Herbert’s poems for his church, interest in the works of Herbert and other metaphysical poets declined during the eighteenth century, and no new editions of The Temple were issued from 1709 to 1799. The Romantic age, however, saw a revival of appreciation for Herbert’s poetic skills and moral values. His reputation was enhanced by such writers of the eighteenth century as Samuel Taylor Coleridge and Ralph Waldo Emerson. While scholars at the beginning of the twentieth century considered Herbert a relatively minor writer of popular didactic verse, an increasing number of studies have approached his poetry from various perspectives: biographical, rhetorical, liturgical, and literary. Contemporary critics generally praise Herbert’s work as a noble attempt to express the indescribable complexities of spiritual life. What was regarded as simple in the past has been reevaluated as subtle. Because his writing demonstrates technical flexibility, analytical intelligence, an exceptional talent for capturing spiritual crises in verse, a distinctive style, and a voice mindful of literary traditions and conventions, many scholars consider Herbert to be one of the most important literary figures in the English language. The Temple. Because Herbert’s final manuscript of The Temple has never been discovered, the arrangement of the poems in The Temple has been the subject of extensive controversy among scholars, who have surmised several possible organizational patterns for the collection’s arrangement of poems, including events of the Christian liturgical calendar and the progression of the soul from birth to death. The general consensus is that The Temple can be divided into three major sections: ‘‘The Church Porch,’’ ‘‘The Church,’’ and ‘‘The Church Militant.’’ Composed of seventy-seven six-line stanzas that read like epigrams, ‘‘The Church Porch’’ provides moral instruction on conducting oneself in day-to-day activities, avoiding sin, and worshipping with a proper attitude. To a great extent, critical attention has focused on the ‘‘Church’’ section of The Temple, which contains most of the individual pieces that make up the volume. The poems in this section display a range of metrical patterns and rhyme schemes. ‘‘The Church Militant,’’ the closing section, provides an allegorical history of Christianity from antiquity to Herbert’s time. 1. Choose a concrete object and write a shape poem at least fifteen lines long about the object. On a separate page, write one short paragraph explaining why you chose the particular object you did. In another paragraph, answer the following: Stylistically and thematically, how is a writer limited by choosing to use shape poetry as a poetic form? Does writing a poem in the shape of its subject enhance the meaning of the poem? Why or why not? 2. In ‘‘The Altar,’’ the speaker describes his heart as a stone altar. What else do you think the stone motif might refer to? What collaboration between the human and the divine is necessary to make a Christian poem? Write a paper in which you outline your ideas. 3. Read ‘‘The Altar’’ and ‘‘Easter Wings.’’ Why do you think Herbert chose to write serious religious poetry in this form? Why is each poem in its particular shape? Are there other shapes that would have been effective for these two poems? Create a presentation in which you show and share your findings with the class. 4. The most celebrated English religious poet is John Milton, author of the epic Paradise Lost (1667). Though both writers exhibit devout spirituality, the works of Herbert and Milton are quite different in aim, scope, and method. To Milton, for example, God is revealed in the Bible, while Herbert finds God in everyday life, even in the most mundane of tasks. After finding three to five additional significant thematic and stylistic differences between the two men’s works, evaluate which writer is most effective in demonstrating his faith. What criteria have you used to assess their works? Which writer do you believe offers a path to salvation for common individuals? Write a paper that outlines your conclusions. Benet, Diana. Secretary of Praise: The Poetic Vocation of George Herbert. Columbia: University of Missouri Press, 1984. Charles, Amy M. A Life of George Herbert. Ithaca, N.Y.: Cornell University Press, 1927. Eliot, T. S. George Herbert. London: Longmans, Green, 1962. Fish, Stanley, E. The Living Temple: George Herbert and Catechizing. Berkeley: University of California Press, 1972. Nuttall, A. D. Overheard by God: Fiction and Prayer in Herbert, Milton, Dante, and St. John. London: Methuen, 1980. Pahlka, William H. Saint Augustine’s Meter and George Herbert’s Will. Kent, Ohio: Kent State University Press, 1987. Roberts, John R. George Herbert: An Annotated Bibliography of Modern Criticism, 1905-1984. Rev. ed. Columbia: University of Missouri Press, 1988. Shaw, Robert B. The Call of God: The Theme of Vocation in the Poetry of Donne and Herbert. Cambridge, Mass. : Cowley, 1981. Sherwood, Terry G. God’s Courtier: Configuring a Different Grace in George Herbert’s ‘‘Temple.’’ Cambridge: Cambridge University Press, 1987. Walton, Izaak. A Life of Mr. George Herbert. London: Thomas Newcombe, 1670.